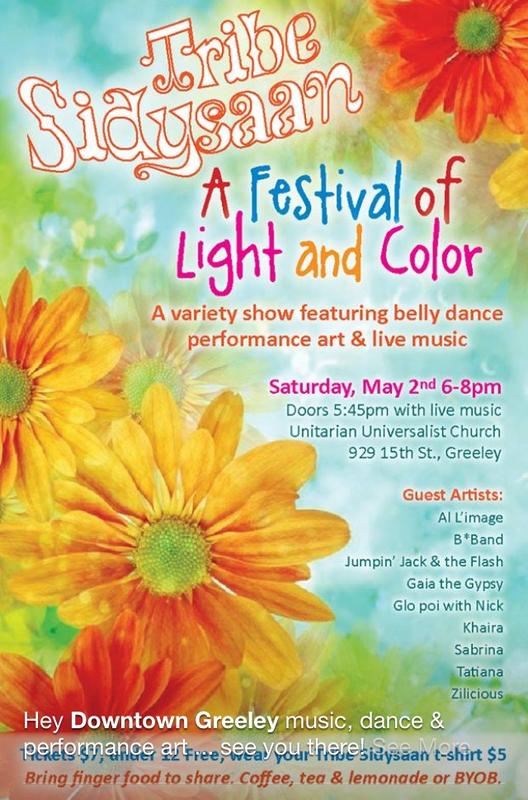 Click HERE for the Festival of Light and Color's invitation! I have been blessed to have lived several lives in this one. Many of you have as well. To be awakened into a new life can be both jolting and joyful. "Spirit of life, come unto me." Let us celebrate together the daily opportunity we are given to be born again. Rev. Barry Bloom is a community minister at Jefferson Unitarian Church in Golden, CO. He previously served Columbine UU as their minister and JUC as the Minister of Spiritual Life. His wife, Amanda Trosten-Bloom is a consultant and author who specializes in appreciative inquiry. Daughter Hannah Joy Bloom is finishing her junior year at CU Boulder in Piano Performance/English Lit. He has been a guest minister here a number of times in the past. Our fiscal year is coming to an end May 31st. We are happy to report that at this time, we've received most of the income that was pledged by you. There are a few folks who have not paid yet, and we are hoping you will do so in the next three weeks so that we can end the year in with a balanced budget. The budget forum went well! Click here for the program budget for 2015-2016! We are thrilled to be partnering with Foothills! The board at UUCG and Foothills Unitarian have decided to partner to create a ministerial team for the coming year. The goal for us, is to have excellence in worship every Sunday and consistency in ministerial presence. The goal for Foothills is to help spread the UU Faith. We will both benefit from “Economies of Scale” as three ministers will be in relationship with one another, and both churches. This will leave more time to spend with congregants and other ministries. The board voted for Bill Gotchey and Hollis Berendt to be on the joint search committee with Foothills for hiring of our Lead Minister. Nancy Bowen, our district leader, will help us through the process. This first year we will explore developing a formal relationship between congregations (i.e. “dating”). We may find that we “fall in love” and want to take the next step forward in the partnership by sharing other aspects of ministry the following year, or decide to “break up.” We do believe this is a positive step toward growth of the UU faith. The RE Ministry is planning for the summer. We are looking for volunteers to be guest leaders Sunday May 31- September 6. This is where you get to use your gifts with our church children. And it only requires a one-time commitment. Come lead the kids in crafts,music, games, art, social justice projects, woodworking, etc. It's your choice! There is a sign up sheet in the foyer, and we can't wait to see how you participate. Don't miss this chance to interact with our kids. Michelle Noftsker is the contact person. Appreciation and Gratitude: You will find on the round table in the foyer two binders with active members and friends labeled A-L and M-Z. Please use these books to write your words of appreciation and gratitude for your follow church community members and all they do. The Membership Committee wants to recognize all of our wonderful friends and members who have helped grow and nurture our beloved community this past year. Thank you all! We work hard to make our building a home in which we base our journeys to grow spiritually, live meaningfully, and help heal the world. Many, many thanks to all who have moved and hauled, drilled and hung, scrubbed and shoveled……. More opportunities are available for us all on Saturday, May 9th! We will be cleaning and raking and pruning and sweeping our outdoor spaces. Indoor work will include some rug shampooing, pew and chair fixing, ceiling fan dusting, vent dusting, spider-web removal, storm window and screen exchange, and whatever else we can think of. Please put the morning of May 9th on your calendar. We’ll work from 9 to noon. We would like to borrow the following items from church members: carpet shampooer, long-reach duster, ceiling fan duster, shop vacuum, pruning shears and loppers, garden hose with spray nozzle. Contact Shelley Gotchey at ssgotchey@comcast.net with questions and/or items to loan for our spring cleaning. * Please bring your own work gloves. Men's Philosophical group will meet the ﻿first and third Monday's﻿ of each month at the Church from 7-8:30 pm! Please prepare for a fun evening on Saturday May 16th at 7:00pm for our Make More Magic Auction. This will be an opportunity for fun, and to help support the church by fulfilling this year's (2014- 2015) budget. The next morning will be our congregational meeting where you will vote on next year's (2015-2016) budget. You can help in other ways, too. For the auction itself, you can: bring a dessert, be a cashier, compile the winning bids, set up (which involves displaying the items in a pleasing manner), or help clean up. Please contact Hollis or Tim Berendt about your willingness to help that evening. Most of all, PLEASE INVITE YOUR FRIENDS, FAMILY AND NEIGHBORS. Click here for the invitation! Present info for a vote to put up fence, remove shrubs, and provide soft rubber play mats for playground. Spiritual Photography Project- We are putting together an art show consisting of your personal vision of spirituality. Imagine an object or symbolic idea of something you consider spiritual. It could be a traditional symbol or a sunrise or a laughing child or a warm embrace. It could be a rainbow or wildlife or a simple smile. It could be a place that puts you in a spiritual frame of mind. If you don't have a picture, think about what symbolizes your personal spirituality and take a picture of it. We are asking for your submission of photography or art with a short paragraph describing why it is special to you. If possible, the submission should be an 8x10 or larger framed. If not possible, submit it anyway. We'll see what we can do. We have frames available for use with the show. The show will be displayed over the summer months. The deadline has changed. Please submit to Michael Free by May 30th. Each of us have things we keep hidden. We may be afraid to tell others our true stories. Rev. Marlin explores how every day is an opportunity to become more fully ourselves by sharing our stores and receiving the support available in our community. Thursday, April 16th- Book Group 1pm. This month we will discuss any book by or about a UU woman or group of women. Rev. Kelly will explore the work of Dr. Brene Brown who has interviewed hundreds of people as part of an ongoing study of vulnerability. "The research shoes that we try to ward disappointment [brokenness] with a shield of cynicism, disarm shame by numbing ourselves against joy, and circumvent grief by shutting off our willingness to love,"explains Dr. Brown. When we become aware of these patterns, she teaches,w e begin to become conscious of how much we sacrifice in the name of self-defense- and how much richer our lives become when we open ourselves to vulnerability. After the service, our Theme Thoughts discussion will focus on brokenness and the month-long Commit 2 Respond spiritual journey for those who have been on it. Climate Justice Month is from World Water Day (March 22) to Earth Day (April 22). Unitarian Universalists will spend the month embarking on a spiritual journey thanks to Commit2Respond. Rev. Kelly will share their daily messages on our Facebook page. You can also sign up to receive the daily messages by email here: http://www.commit2respond.org/act We will reflect on the experience during the Theme Thoughts discussion on﻿﻿ April 19th﻿﻿. This will be an excellent morning. Tucker will offer an account of Unitarian and Universalist clergywomen on the western frontier in the nineteenth century, including the history of liberal women ministers in Fort Collins. Workshop Description: Whether it’s congregational history or intimate tributes to mentors or partners, the narratives we create are what give us our anchorage and links to the past and the future. A combination of informal lecture on the biographer’s motives and methods, short exercises on structuring time, guided discussion, and Q&A, this workshop will have us explore the difference between “a good story” and one that’s real and resonates. Cynthia’s overview of biographers’ motives and methods will offer examples taken from our early history of liberal religion out here 0n the Plains. Cynthia Grant Tucker, a longtime UU in Memphis, teaches and writes biography to help redress history’s sins of omission. In Healer In Harm’s Way (1995) and Prophetic Sisterhood (1990, 1994) she illuminates the spirit of those who brought liberal religion out here to the Plains. No Silent Witness, Tucker’s fifth book, received the UUA’s 2011 Frederick G. Melcher Book Award for its outstanding contribution to religious liberalism. Spiritual Photography Project- We are putting together an art show consisting of your personal vision of spirituality. Imagine an object or symbolic idea of something you consider spiritual. It could be a traditional symbol or a sunrise or a laughing child or a warm embrace. It could be a rainbow or wildlife or a simple smile. It could be a place that puts you in a spiritual frame of mind. If you don't have a picture, think about what symbolizes your personal spirituality and take a picture of it. We are asking for your submission of photography or art with a short paragraph describing why it is special to you. If possible, the submission should be an 8x10 or larger framed. If not possible, submit it anyway. We'll see what we can do. The show will be displayed over the summer months. Please submit to Michael Free by June 10th. Climate science tells us that the environment has been damaged by human choices. Knowing our past, could lead to focus only on what we have broken. Or, we could focus on a new creative hope, if we commit to respond with fresh perspective. Elizabeth Mount is a lifelong UU from Denver, Colorado and a seminarian at Meadville Lombard Theological School. Elizabeth has been a community organizer for over twelve years in the areas of racial justice, immigration, and environmental justice. She is excited to be working on environmental issues with the UU Young Adults for Climate Justice for the second year of the organization's existence, and she hopes to continue working with the UUs and eco-justice activists for many years to come. RE: Intermediate Lesson #7 Ten Commandments and Moses accompanied with story, discussion, and crafts. Please consider what you could donate for this auction. Could you acquire gift cards from businesses you frequent? What about making a loaf of bread, a casserole, get a group of people together for a progressive dinner? Does your family own a cabin that can be auctioned off for a weekend? Do you have paintings or other artwork, jewelry, houseplants to donate? Can you clean someone's car, wash windows, weed a garden, offer your rototiller, offer your pickup truck for a few hours? Can you take people on a hike? A picnic? Plan a fishing trip? A Poker Party? Can you offer to entertain for a party: Do you sing, dance, play an instrument, do magic etc.? Consider donating these things so attendees can purchase them. PLEASE INVITE YOUR FRIENDS, FAMILY AND NEIGHBORS.See attached invitation! You can help in other ways, too. For the auction itself, you can: Bring a dessert, Be a cashier, Compile the winning bids, Set up which involves displaying the items in a pleasing manner, or help clean up! Please contact Hollis or Tim Berendt with your donation so that auction committee can put together a catalog and make bidding sheets. Also let them know of your willingness to help that evening.